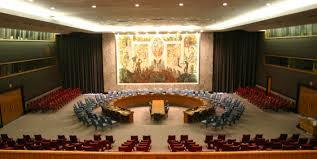 The UN Commission on human rights is a functional Commission within the United Nations. UN Human Rights Commission was agencies under the UN Economic and Social Council (ECOSOC), and is also assisted by the Office of the United Nations High Commissioner for Human Rights (OHCHR). The Commission is the main mechanism for the UN and international fora that deal with the protection of human rights. On March 15, 2006 UN General Assembly vote to replace UNCHR with the UN Human Rights Council. HUMAN RIGHTS Council, as was mentioned earlier is one of the specialized agencies of the UNITED NATIONS (specialized agency). It was officially established in 2006 replaced the UN HUMAN RIGHTS Commission which was established in 1946. Generally appropriate Resolution 60/251 one of the important functions of the Council mentioned HUMAN RIGHTS "to undertake a universal periodic review (UPR), based on objective and reliable information, of the fulfillment by each State of its human rights obligations and commitments in a manner which ensures universality of coverage and equal treatment with respect to all States. " At the beginning of the formation of the Commission of HUMAN RIGHTS consists of 54 members elected by ECOSOC for a term of 3 years. At the time of the Commission of HUMAN RIGHTS is an agency that has an important mission in the handling of human rights. HUMAN RIGHTS Commission can find facts, prepare draft conventions and declarations for approval by the agencies, discussed the violations of HUMAN RIGHTS and improve the procedures of UN HUMAN RIGHTS. The Commission on HUMAN RIGHTS have also formed a number of research-related mechanisms, investigation of and improvements to the State of heavy and widespread violations of human rights. One year after its formation, the UN HUMAN RIGHTS Council year 2006 form "Institution-building package " that will guide and put together all mechanisms that carried out organ subsider under the Council of human rights. The mechanisms of implementation of Human Rights Council of the authority in question include the Universal Periodic Review that will monitor the entire human rights situation all members of the United Nations, the Advisory Committee advisory committees such as the container thinking a special handle and provide advice against the thematic issues of HUMAN RIGHTS, the Complaint Procedure that allows for individuals and organizations denounce human rights violations before the Council. HUMAN RIGHTS Council also work closely with the Special Procedures of the United Nations that was established by the former Commission on human rights. This mechanism consists of the Special Rapporteur, the special representatives, independent experts and working groups that monitor, examine, advise and conduct public report on thematic issues or HUMAN RIGHTS situation in certain countries.